My Stitching time has been few and far between lately. I have been very busy at work, so I haven't been able to sneak in a few stitches during slow times. The main two projects I have been working on are "Charlotte Clayton" and "A Full Heart." I also got a little stash in the mail from Down Sunshine Lane. 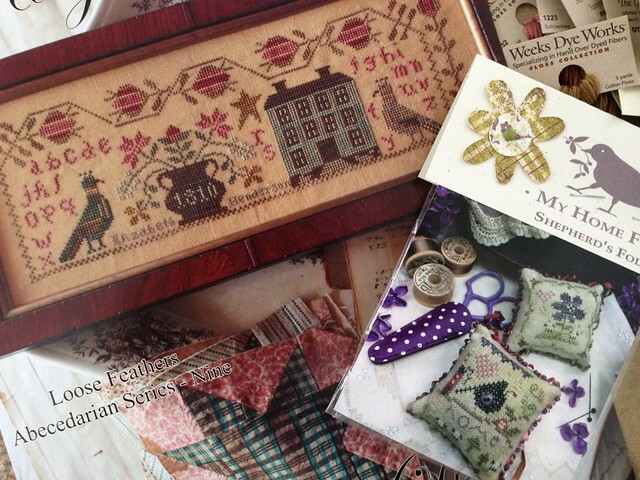 Blackbird Designs "A Rosy Morning" and the second part of Shepherd's Fold "My Home Fob." 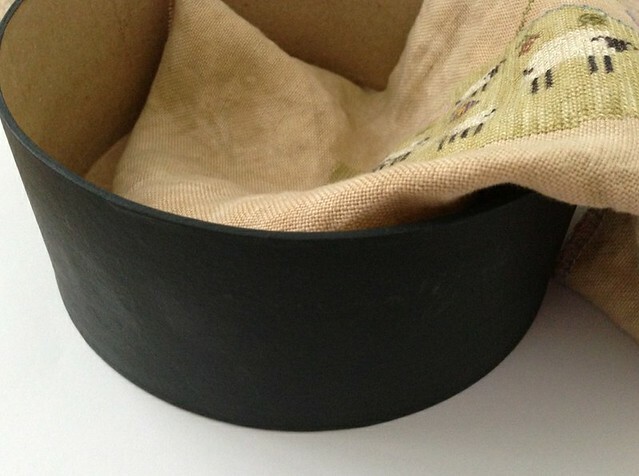 To save a little money on the fold project I painted my own paper mache box black. I hope it will look nice once it's all finished. Well, that's all for now. Hopefully, I'll have a finish to share one of these days! Write soon! I completely understand work cutting into the creative time. It is what it is and I'm happy to get done the little I do get done. Your black box looks wonderful - I think it's going to look very nice! I love your beautiful projects! Your stitching looks great, and I love your new stash! I don't understand how women who work and have children get any stitching done at all. You are doing way better than I would! Hi Nicole! I see you're still stitching away and doing some gorgeous designs. Nice to see you're getting the Shepherd's Bush fold series. Enjoy! Love your project stitching..especially Charlotte Clayton !! 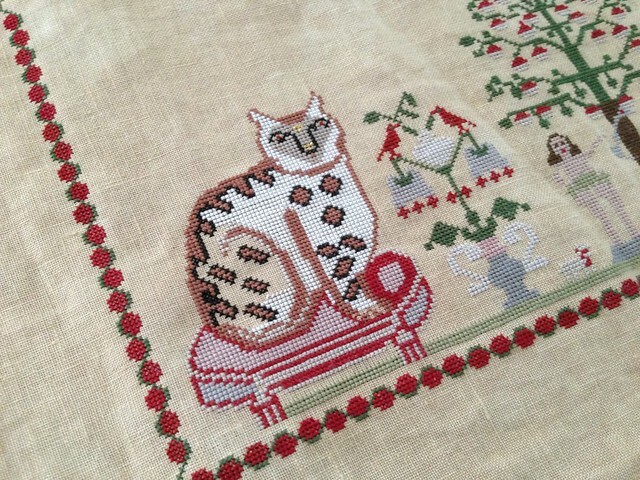 Isn't the cat a blast to stitch ? Hugs and have a great week !! 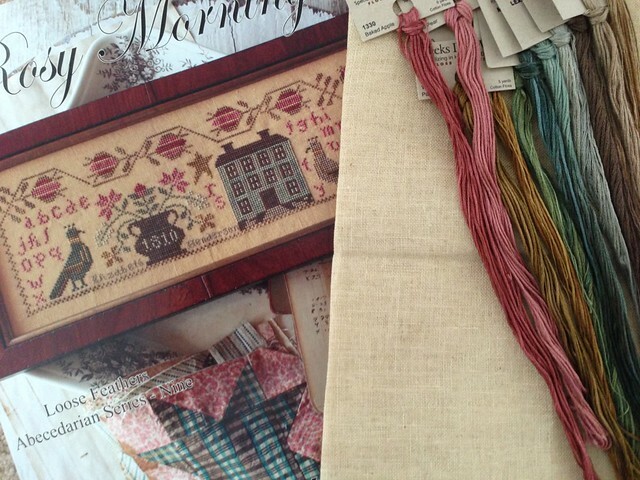 Beautiful stitching, great addition to your stash...enjoy your stitching time when you can! Wonderful stitching, and enjoy the new stash. 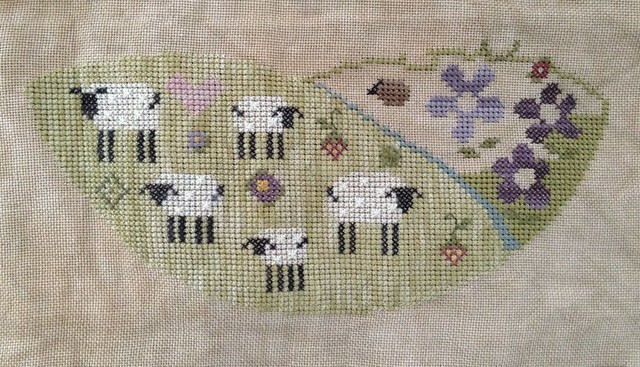 Great to see some of your beautiful stitching again! Look forward to seeing your box results -- looking good so far. Summertime is here! Your projects are looking beautiful! If only we didn't have to work :) I think the box will work perfect with your project! I'm going to use a papier mache box too (great minds thing alike!). The shaker boxes are beautiful but are awfully expensive. Fun projects and I love your box!! Your stitching is lovely! I'm not a cat person but that Charlotte Clayton cat gets me, every time! I am sure your black box will be perfect! Beautiful projects, Nicole! I love Charlotte Clayton. I think your box for the SB piece turned out perfectly. Love your new stash, too!! Beautiful stitching. I'm sure your box will be perfect when complete.